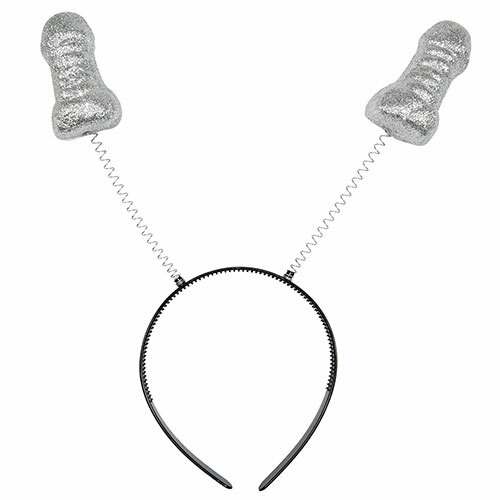 You will be bopping around all night long wearing a pair of these hilarious silver headboppers. A great way to spice up any hen party outfit while at the same time drawing in lots of attention with the willy design! 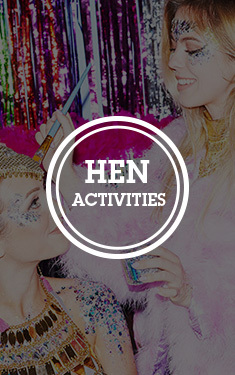 The silver glitter adds a fabulous finishing touch to the naughty hen night head wear which stands out even further as it bops up and down on the spring-loaded head band. A great way to make the bride to be stand out from the rest of the hen group or why not get everyone involved by trying out our full range of novelty willy head boppers below. 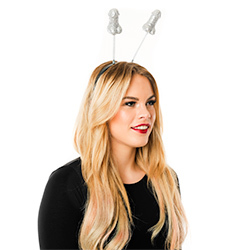 "Great laugh with these :)"
"Great fun item but headband too tight"
"Very unique! Good quality and reasonable price." "One of the boppers fell off but otherwise very effective." "Very good quality, although the headband was incredibly tight! Could do with being made for adult heads as I can't see any kids wearing these!" 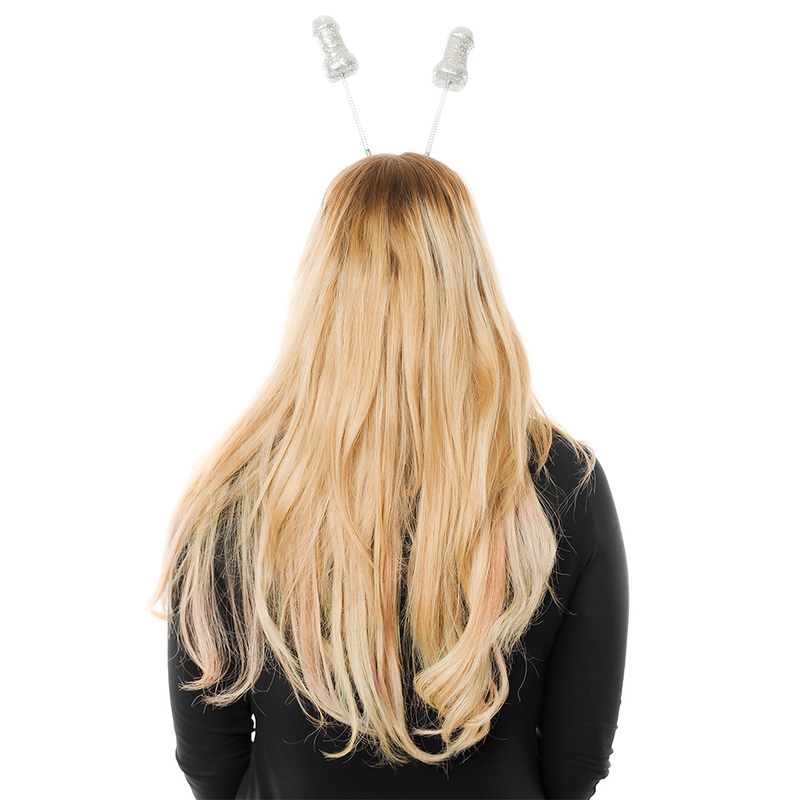 "a Couldn't be any happier with them, went out last night for my hen, 20 of us wore them.....not one fell off, very good fitting and really good quality! Doing it all again tonight :D Would definitely recommend!!!! I will be shopping here more often :)"
"very small and tight considering they're to fit an adults head, i had to take them off after an hour 80("
"Glitter fell off easily & some of the balls detached slightly disappointing"
"Goofy but fine to add to a boring outfit for a quieter night out." "Abit too tight on her head!!"